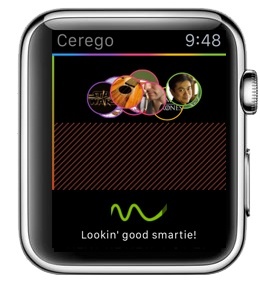 Three cheers for Cerego 3.0 for iOS! Sometimes it makes sense to study items from one set at a time (especially if you’re like many members of the Cerego team, studying Spanish, wine tasting, astronomy, and whatever else looks interesting that day). But often, you’re using Cerego because you want the most efficient review experience - and nothing is more efficient than studying everything you have due to review, all at once. Now you’ll see an option to “Study All” fading memories when you sign in. Simple and efficient - the reason you study on mobile in the first place. Last but not least, we’re excited to introduce support for the Apple Watch with this version of the iOS app. To read more about why we built a watch app in the first place, check out Andrew’s post here. The short version is that Cerego on the watch represents the most efficient way to keep track of your fading memories, and it’s pretty awesome! While we love iOS, we don’t want Android fans to be left out much longer - we’re hiring Android engineers, and if you are (or if you know somebody who is) a killer Android developer, we want to talk to you. Get details on the job, or reach out to us at jobs@cerego.com.